Kwando Lagoon is an amazing place to be. Not only is there a wonderful view from the bar, the dining table and even your bed, but that view is liberally sprinkled with elephants. I stopped to count them one morning, and there were more than 60 elephants visible from just 1 of the large mesh windows in our huge, beautiful, room. Add to that the vocal pod of hippos, the fruit bats hanging in a tree, and the numerous birds, and it was barely even necessary to go out on a game drive. On a couple of occasions it was impossible to leave our room because of the elephants munching on vegetation around us. Photos of that will follow soon, but in the meantime, enjoy this view from the bar, and think about a visit! This Original Field Sketch is sold but Limited Edition Giclées are also available, priced at US$120 each. Only 10 copies are available, printed using archival inks on watercolor paper, 14×11″, all signed and numbered by me. Tomorrow’s sketch is of elephants at Kwando Lagoon. This entry was posted in African Wildlife, Blog Posts, Elephants, Field Sketches, For Artists, Watercolors and tagged alison nicholls art, Botswana, elephant sketch in watercolor, elephant watercolor, kwando, kwando sketch, lagoon sketch, Linyanti on November 16, 2015 by Alison. Yes, I’m back from Africa! My sketchbooks are being scanned as we speak, so I can’t show you those yet, but in the meantime here are some of the fantastic photos that my husband, Nigel, took in Linyanti, northern Botswana. Soon I’ll have sketches to show you too! This entry was posted in African Wildlife, Blog Posts and tagged Botswana, Linyanti, Nigel Nicholls on October 9, 2015 by Alison. Painted Dogs Hunting Through Our Campsite! 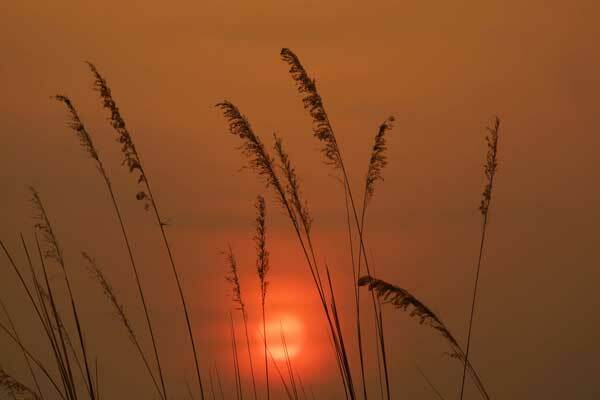 For this #WishIHadAPhotoWednesday, I thought I’d go back to one warm evening in the Okavango Delta, Botswana. I was with my husband and my parents; we had set up camp, with our guides from Gunn’s Camp, on the edge of a large island. 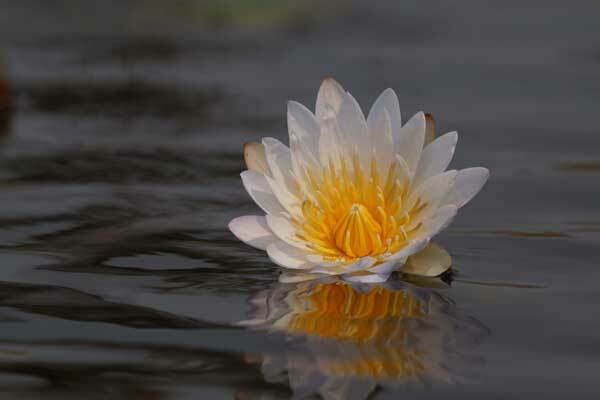 We had arrived by mokoro (dug-out canoe), seeing delta life from a lower angle than usual, as our guides poled us through the clear waters, past lilies and papyrus. Night was falling fast and the fire was alight, throwing shadows onto our 3 small dome tents. We were getting settled in for the evening (most likely with a sundowner in hand) when suddenly it seemed that our small camp came alive with activity for a brief second. 3 shapes leapt between the tents. It was almost too dark to see them, but the smaller 2 at the back had distinct white tips to their tails – African wild dogs chasing an impala! Before we had time to react, they were gone. I’ll always remember the silence of the hunt. There were just the sounds of a few fleeting footfalls. There were no cries or calls of any kind. We listened, to hear what might have happened to the impala. Did she escape? But the darkness closed around us, leaving us guessing, and grinning at our amazing experience. This entry was posted in #WishIHadAPhotoWednesday, African Wildlife, Blog Posts and tagged #WishIHadAPhotoWednesday, African wild dog, Botswana, painted dog on August 5, 2015 by Alison. A Lion In The Headlights! 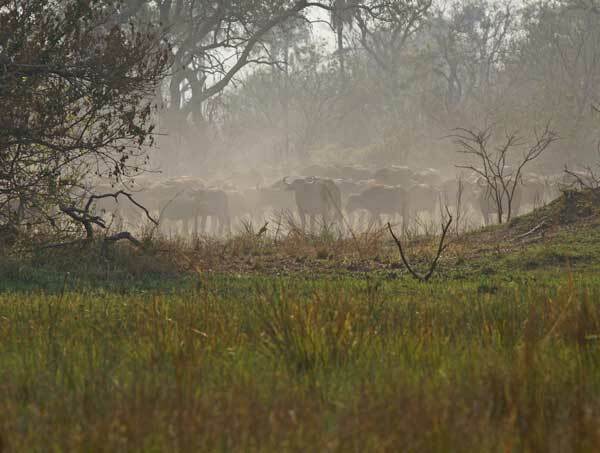 It was late afternoon; we were approaching our campsite in Mabuasehube, in the south-west of Botswana; and a beautiful dark-maned lion was in the grass 200 yards from our campsite. As we put up our tents we kept an eye out for him, knowing that lions can be curious; but it was too hot for him to move. We knew that once the sun set, he was almost certainly going to walk along the sandy track straight through our camp, so before it got dark we moved our truck so it faced down the track towards him, hoping to keep him in view by the light of the headlights as he passed by. Sure enough, he started his deep guttural roars and gradually they got closer and louder. Eventually we knew he was just on the edge of camp, so we moved from our chairs by the fire and stood next to the vehicle. We had been in a situation like this before, but on that occasion we had retreated to our vehicle when we saw the lions; this time we hoped to hold our nerve and watch him walk by without feeling the need to hop in the vehicle. This may sound like complete craziness, but we had spent nearly 10 years living in Botswana and Zimbabwe by this stage and we had had so many encounters with wild lions in national parks and game reserves that we knew the way they normally react – sometimes curious, but definitely not seeing us as a menu item – if they did, camping in the Kalahari would not have been so high on our list of things to do! The lion continues to come closer, completely unfazed by the headlights of our vehicle (lions are not fazed by many things), deviating for a minute to mark his territory next to our long drop toilet (appropriately), before padding straight towards us again. When he was about 10 feet in front of the vehicle we unfortunately lost our nerve and decided it was time to get in. Four of us tried to get in 2 doors (survival of the fittest) but after a little excited banter, we were all in the truck. The lion didn’t even look in our direction and continued on his magnificent parade. Once we were sure he was gone, we headed back to our chairs by the fire for a large gin & tonic! And, you guessed it, we didn’t manage to take a single photo! Any more #WishIHadAPhotoWednesday stories out there? This entry was posted in #WishIHadAPhotoWednesday, African Wildlife, Blog Posts and tagged #WishIHadAPhotoWednesday, Botswana, kalahari, lion on July 22, 2015 by Alison. I’d like to invite all you wildlife lovers out there to join me in celebrating #WishIHadAPhotoWednesday – a chance to tell all those bush stories for which you have no photographic evidence. I’m not talking tall tales here – just things you’ve seen that stand out in your memory. I have made a long, long list, and I’ll start you off with a short, simple tale that involves Africa’s biggest antelope. I was sitting on the roof-rack of our Toyota Hilux truck (nicely padded with our sleeping mats) in Khutse Game Reserve in Botswana, while my husband drove us back to our campsite. Khutse is in the Kalahari, which is pretty flat, so sitting on the roof of a truck makes you feel like you can see for miles. The tracks are mostly sandy but turn into solid white calcrete, as you cross the occasional salt pans. Scrubby brush, generally no more than 5′ tall, is surrounded by long grasses. As I said, it seems like you can see for miles, but its amazing what can be hiding on those empty looking salt pans and in that scrubby brush. As we wound round a bend, 3 huge eland bulls appeared, trotting fast. These are the biggest antelope (a large male can rival the weight of a bull bison) and in many respects they look like a cross between an antelope and a cow. 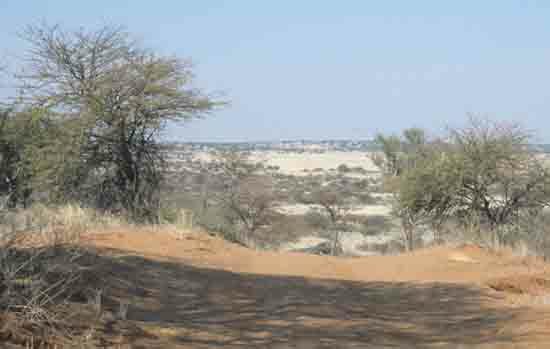 Our paths were intersecting, and as we slowed down the eland speeded up. They approached the track (just wide enough for 1 vehicle) and leapt it like star show-jumpers. I had this amazing view of 3 massive eland leaping higher than the bonnet (hood) of our truck, so they were nearly level with me as I sat on the roof. It was like one of those slow motion movies – they arced over the track, landing lightly and trotting away. Completely unbelievable for such a huge animal – I’ll never forget it. Join me in a week for my next story – #WishIHadAPhotoWednesday! This entry was posted in #WishIHadAPhotoWednesday, African Wildlife, Blog Posts and tagged #WishIHadAPhotoWednesday, antelope, Botswana, eland on June 17, 2015 by Alison. 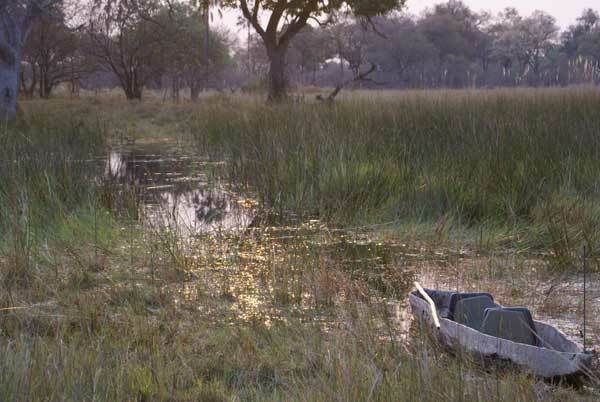 Here lies the Okavango Delta – the World’s 1000th World Heritage Site! 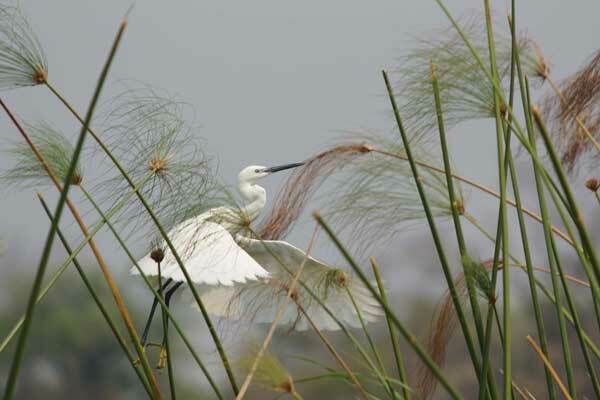 But don’t just visit the website, visit the Okavango! See my African Field Sketches, including some from the Okavango Delta. 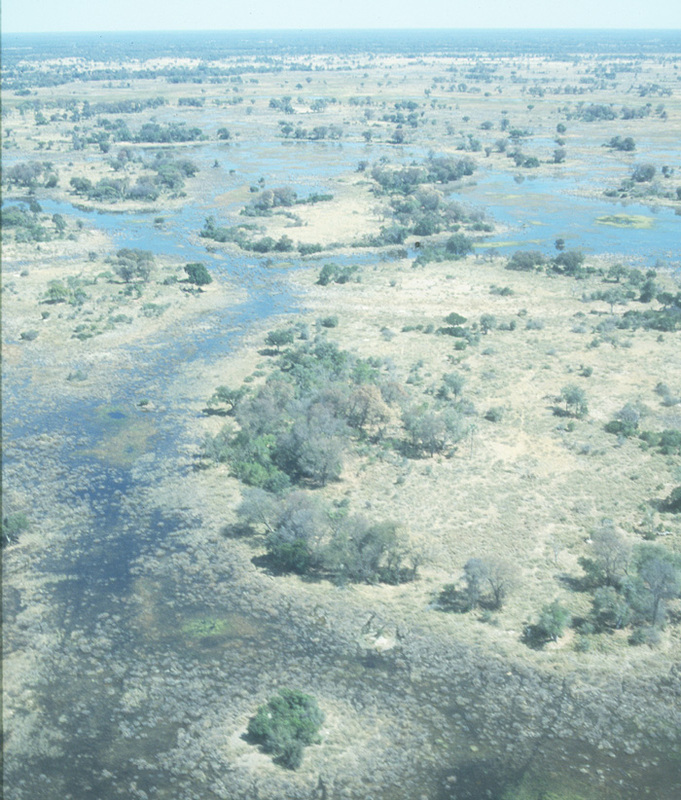 1000 Reasons to Visit Botswana’s Okavango Delta – now a World Heritage Site! 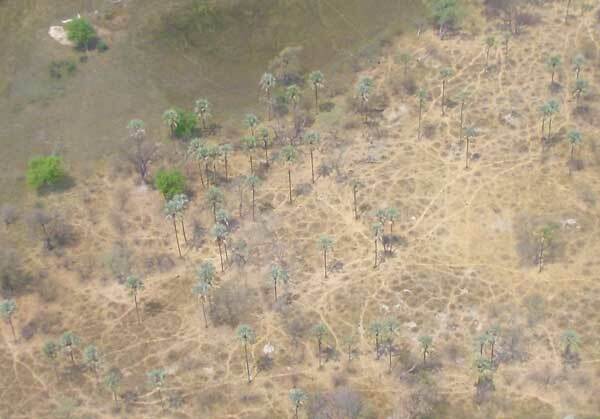 I recently posted about Wildlife Corridors being set up in and around Kasane, a town in northern Botswana. 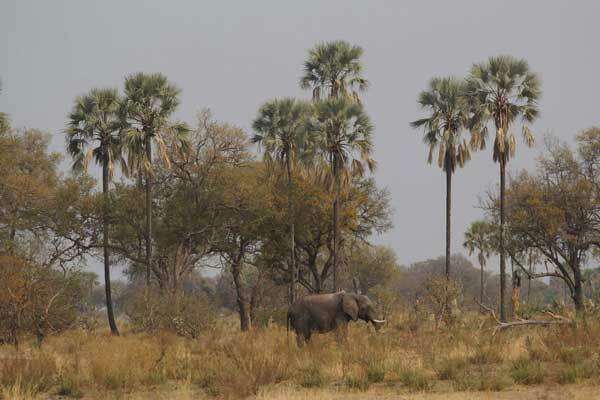 The corridors give animals like elephants and buffalo places to cross the road in order to reach the Chobe river, and have been set up by Elephants Without Borders. Tempe Adams, a PhD candidate, has been using camera traps to monitor the use of the corridors by wildlife and found some amazing results. “It’s amazing,” she says. “There’s a bar at each of the corridors they have to pass by. I was looking at the results and I could suddenly see there’s this big drop in wildlife coming through on Friday and Saturday nights. I thought what’s going on? It’s so obvious … animals are adapting to our habits — and our drinking habits,” adds Adams. We know elephants are smart but sometimes we have to reminded of just how smart they are! You can read the whole article here on CNN’s Inside Africa page. Learn more about Elephants Without Borders. In some parts of Africa towns happen to sit on or beside routes used by wildlife, and the town of Kasane in northern Botswana is an example I know well. 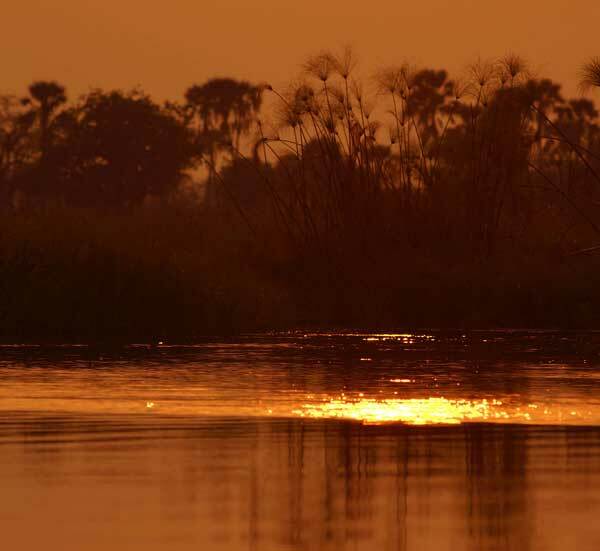 Kasane sits on the banks of the Chobe river and many species, including elephants, not only drink from the river but also cross it on a regular basis. This might be a novel sight for tourists, but it can be a nuisance and a danger to local people, leading to human-wildlife conflict. Elephants Without Borders have set up ‘urban corridors’ and have found that animals are using them on a regular basis, thereby reducing the potential for conflict with people. You can see photos of elephants using the corridors and read more about this innovative idea here on the National Geographic website. My husband Nigel was going through his photos from our recent Africa trip. I saw this one he took in Botswana and immediately voted it one of his best shots! Maybe because this photo follows many of the same principles I use in my paintings. It has the same calm, tranquil atmosphere showing an undisturbed animal with a peaceful expression. It has the same limited palette of color I often use too. And I just love the detail of the intricate shadows. In short – its beautiful. So will I be painting this? Absolutely not! Because it is wonderful just as it is, as a photograph. You see I remember when this was taken, as a herd of 50 or so elephants moved quickly through a dry dusty riverbed on their way to water. Elephants of both sexes and all ages passed both sides of our vehicle. They were moving fairly fast and coming straight at us, which gives limited sketching time, so I took some video footage (for a video I am making about my work). My favorite part of the video is not that the elephants are so close but that you can hear them walking. I’ll post the video footage on Friday so you can see what I mean. Will I paint from the video footage? Absolutely not! Because it is wonderful just as it is, as a video. Instead my painting will come from my visual memories of that scene and from the small and very brief sketches I was able to do. Those will be my inspiration. I won’t capture the minute detail of shadows falling across an elephant’s forehead but I will hopefully capture what it meant, to me, to be surrounded by the sights, sounds and smells of a moving herd of elephants. Will I paint that? Absolutely! Lets hope it is as wonderful as the photo and video!